The CWP Cut-Off Exterior Light features die-cast aluminum housing with integral hinging feature for ease of maintenance. 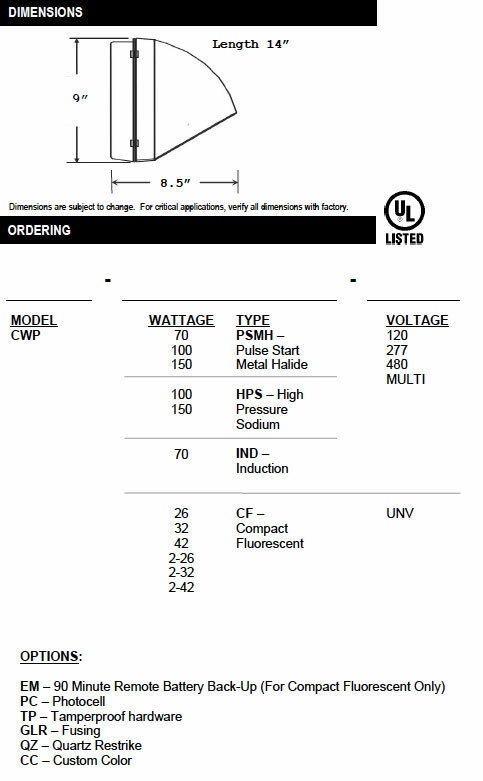 This unit is available in high-pressure sodium 70W-150W and pulse start metal halide 70W-150W. Heat and impact-resistant, tempered glass is standard. Dark sky friendly lighting aims light 15° below the horizontal. 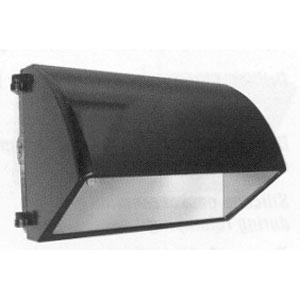 Hydroformed aluminum reflector improves fixture performance. The CWP is provided with ½” threaded apertures allowing for surface conduit installation and/or optional photocell. All units are fully-gasketed for weather-tight construction. All units may mount directly over standard 4” outlet boxes or with surface conduit. Clear tempered glass is standard.